When you close your eyes today and think of Morsø, you probably see the image of a cozy, hot wood-burning stove. But Morsø started somewhere completely different. When Niels Andreas Christensen (N.A Christensen) started Morsø Foundry in 1853, it was for the production of all sorts of products, from stable windows, grave crosses and tools to saucepans, pots and pans. Wood-burners and tiled stoves only came later, around the turn of the century, when Morsø began to produce and provide tiled stoves and heaters to schools, churches, the railways, ministries and not least to the royal household. This put Morsø seriously on the map, and in 1915 Morsø received the coveted title of Purveyor to the Royal Court. In the 1950’s, the tiled stoves were replaced by central heating, but this just made space for wood-burning stoves in which you can see the flames, giving a special warm and cosy feeling, and with which the stove and the heat fulfil more than one function. Today Morsø has developed into a global design company that brings warmth and comfort to homes around the world. 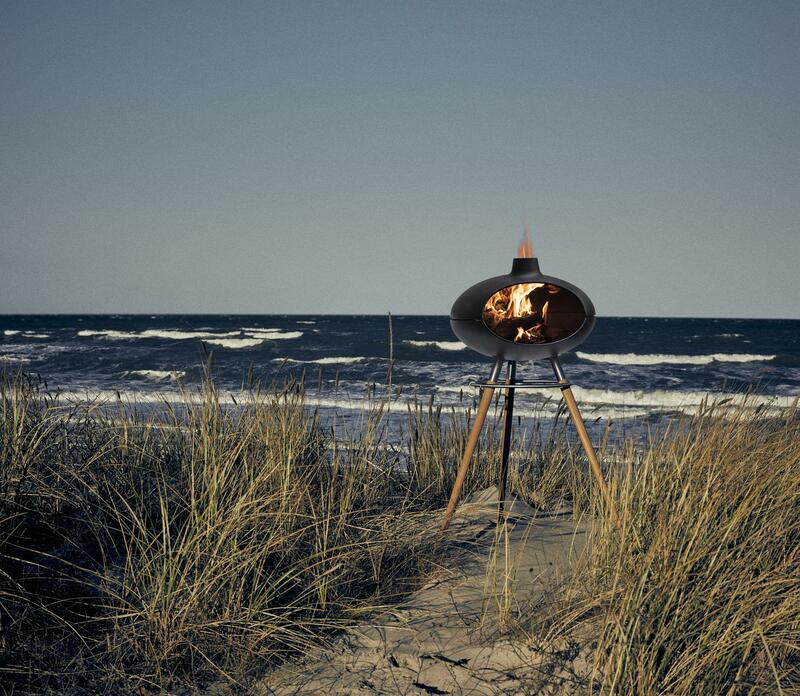 The Morsø Kamino outdoor fireplace is shaped in cast iron and can – in addition to decorating and warming all outdoor spaces – also extend the use of the patio, so that it can be used from early spring, on cool summer evenings and on into the early autumn. Morsø Kamino is moveable and can be turned in relation to both wind and arrangement. The Tuscan grill fits into the Kamino, so you can also grill over the fire. Bright sunshine, friends, family and fantastic food. Morsø Forno lifts your outdoor food preparation to a higher level and makes it possible to prepare special dishes easily and expertly. Morsø Forno Terra is a grill and pizza oven on a square table with wheels (60 x 60 cm), which gives you the ability to turn or move the Forno - even while in use. It is easy to adjust for wind direction or to be nearer your guests. The fire from the Forno functions as a natural gathering point, where everyone can enjoy the beautiful shape of the Forno and not least the cosy atmosphere. You can enjoy the warmth of the Forno late into the evening, along with an extra glass of wine. Morsø Terra is suitable for the smaller terrace and can stand outdoors the whole year round. The Forno is self-cleaning, as the high temperatures burn and remove all oil and fat after food preparation, and leave the internal firebox sterile, clean and ready for use. Morsø Grill ’71 Table is a brand-new variation of the iconic Grill ’71 by Morsø, which has been a permanent part of the Danish summer for generations. 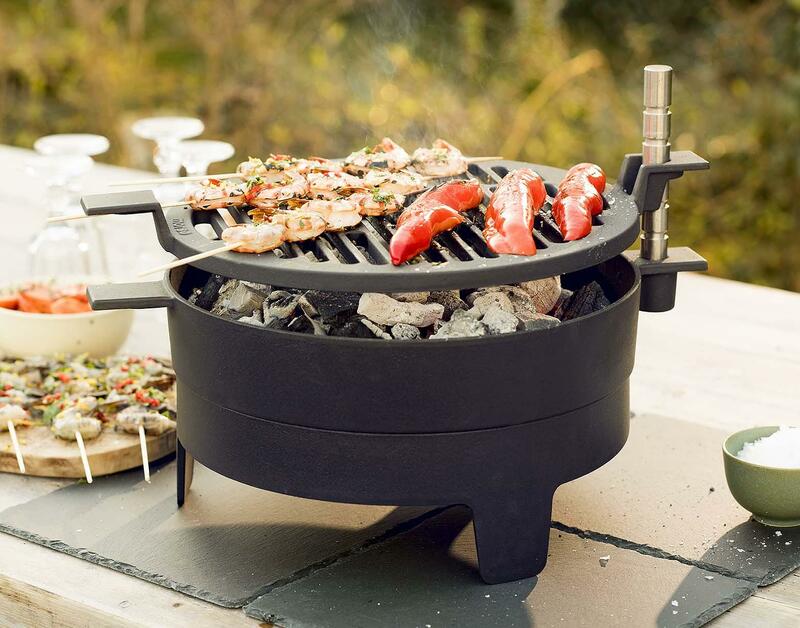 The introduction of this new model enables everyone to gather round the table to share the joyous atmosphere of barbecuing – from the word go. 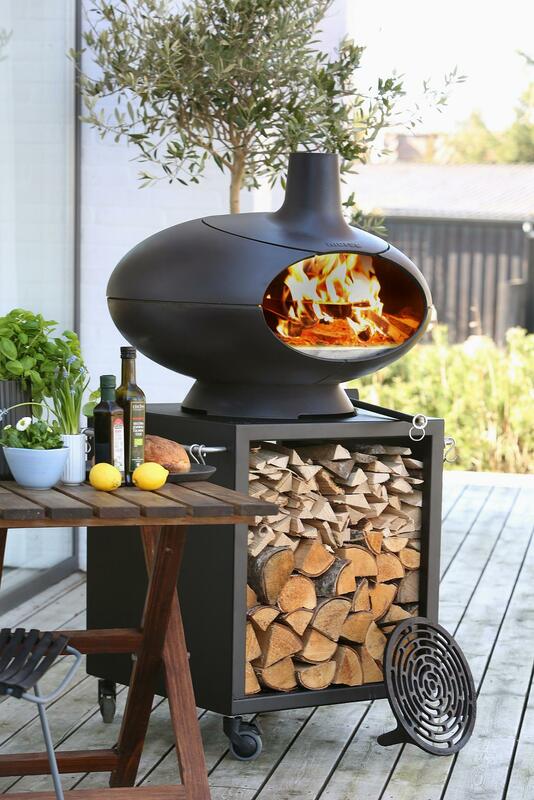 This barbecue works equally well on charcoal, briquettes or ordinary wood. Being a beautiful fire bowl, it will also provide a charming atmosphere, during and after the meal. As its predecessor, Grill ’71 Table boasts all the classic properties of cast iron, and it is available with a removable slop grid. Morsø Grill ’71 Table must be placed on a non-flammable surface. Morsø Fire Pot, designed by Klaus Rath, is a tribute to fire and the brief glimpses of simplicity in life. This beautiful fireplace is the obvious choice for spending warm and cosy family time in front of the fire – or just for a live decoration in the garden. 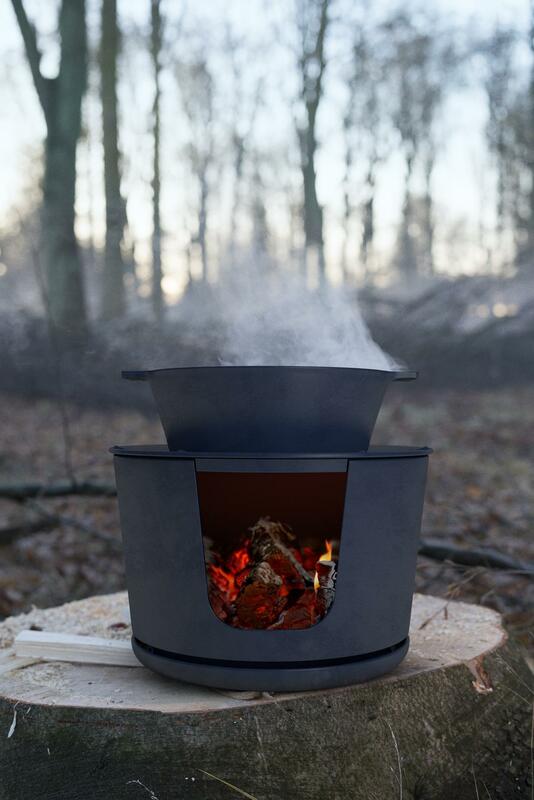 Morsø Fire Pot is made of sheet iron and designed with a practical windscreen. When combined with the cast-iron barbecue grid, Morsø Tuscan Grill, this fireplace can also be used for the creation of authentic food experiences – just as in the good old days. 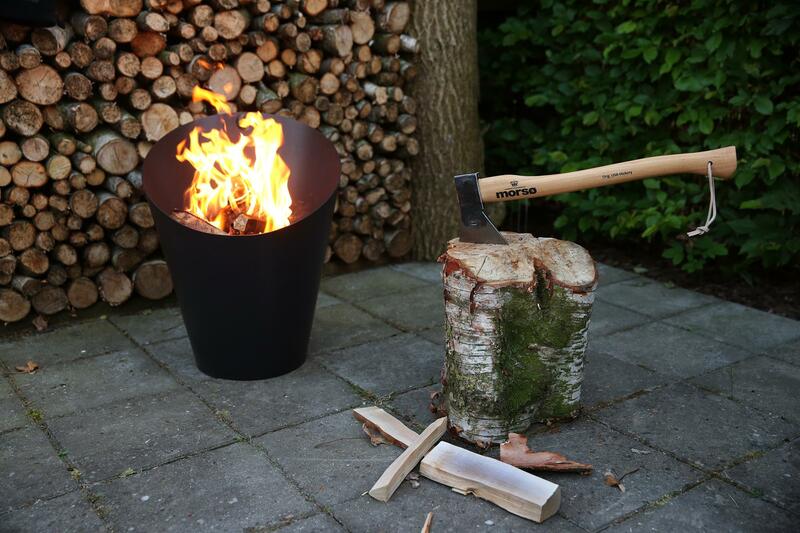 The Fire Pot is made from steel plate coated with a heat resistant paint. Morsø Grill Forno II, a multi-functional version of the Morsø Grill Forno, is now available with a larger opening to the fire pit which not only leaves more room for cooking – it also provides an even greater view of the flames and, thus, contributes to a more congenial bonfire atmosphere. The cast-iron insert has been upgraded – function-wise as design-wise – which means that, now, it works as a charcoal/wood distributor with an integrated barbecue grid and increased oxygen intake that improves burning conditions considerable. Finally, the positioning of the beautiful wooden legs has been turned 180 degrees, thus making it possible to get quite close to the front of Grill Forno II, when the cool of evening creeps up on you – or when great ideas are to be thought up by the glow of the flames. The optional purchase of separate equipment lends Grill Forno II even greater application potential – for instance, as a smoking chamber. 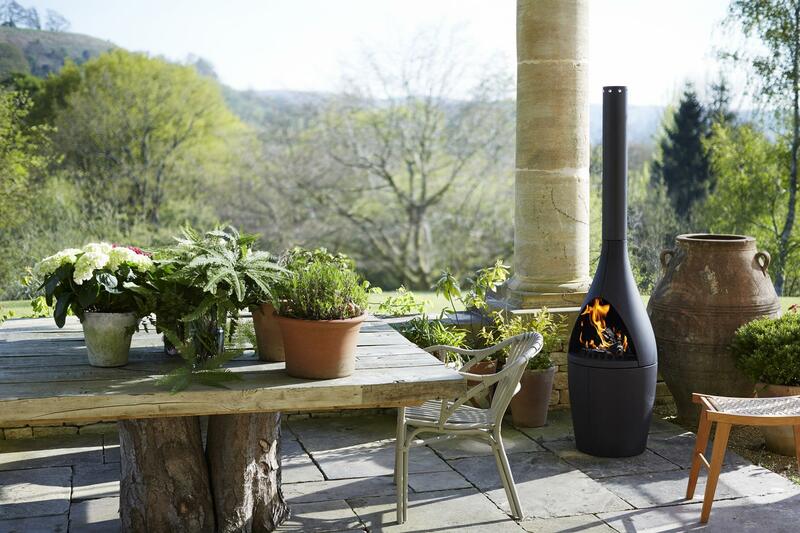 Morsø Jiko is a small, wood-fired African inspired outdoor stove that is serviceable as a fire pit, but also excellent for cooking in the open. Morsø Jiko makes it possible to bring the well-known Morsø qualities from the terrace into nature to cook authentic food on open fire. You should, for instance, try to use the Jiko together with a Cocotte from Morsø’s kitchenware line, Morsø NAC. You could also try placing Morsø Cast iron grill grate at the top of the Jiko. Again, deep classic roots and the unique properties of cast iron combine into a modern design with an abundance of use potentials.